Gallery Wild is Officially Open! We are excited to announce that Gallery Wild is open for business! Located at 40 South Glenwood in downtown Jackson, Wyoming, Gallery Wild is Jackson Hole's newest fine art gallery. 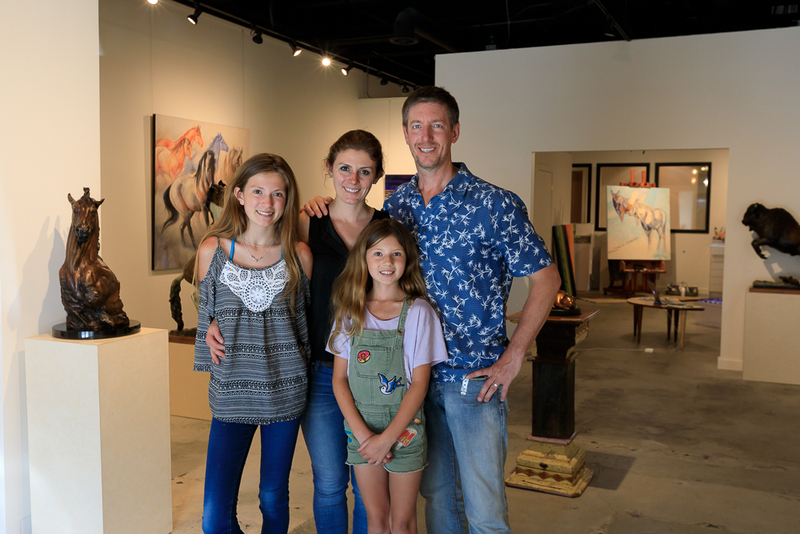 Launched by husband and wife team Carrie Wild (painter/photographer) and Jason Williams (wildlife photographer), Gallery Wild hopes to connect guests with all things wild with fine art inspired by and representing wildlife, wilderness and open spaces. Both Carrie and Jason have deep roots in the Jackson Hole community and long careers as wildlife artists. Carrie came to Jackson Hole in 2010 to pursue her passion for wildlife art and find inspiration for her work. She immediately fell in love with the place and moved to Jackson Hole permanently the next year. She spends as much time in the field as possible observing and photographing wildlife in order to better represent the animal and places they live in her work. Jason moved to Jackson Hole in 1999 to guide float trips on the Snake River. He too fell in love with the Greater Yellowstone region and never looked back. He spent several summers as a river guide and winters as a snowmobile guide in Yellowstone National Park. It was here that Jason found a calling with photography and began shooting professionally. In 2007 he launched Jackson Hole Wildlife Safaris in order to share his passion for wildlife and photography with visitors. Gallery Wild is a working artist studio, fine art gallery and gathering place for the community. Carrie and Jason welcome anyone to stop in and see what they are working on in the studio and enjoy current exhibits. In addition to their works Gallery Wild will also represent other like minded fine artists and welcome them into the studio to share their process and talents. Gallery Wild will be open from 12-8pm Monday-Friday through the summer with weekends open by appointment (or just because they are in the studio working!